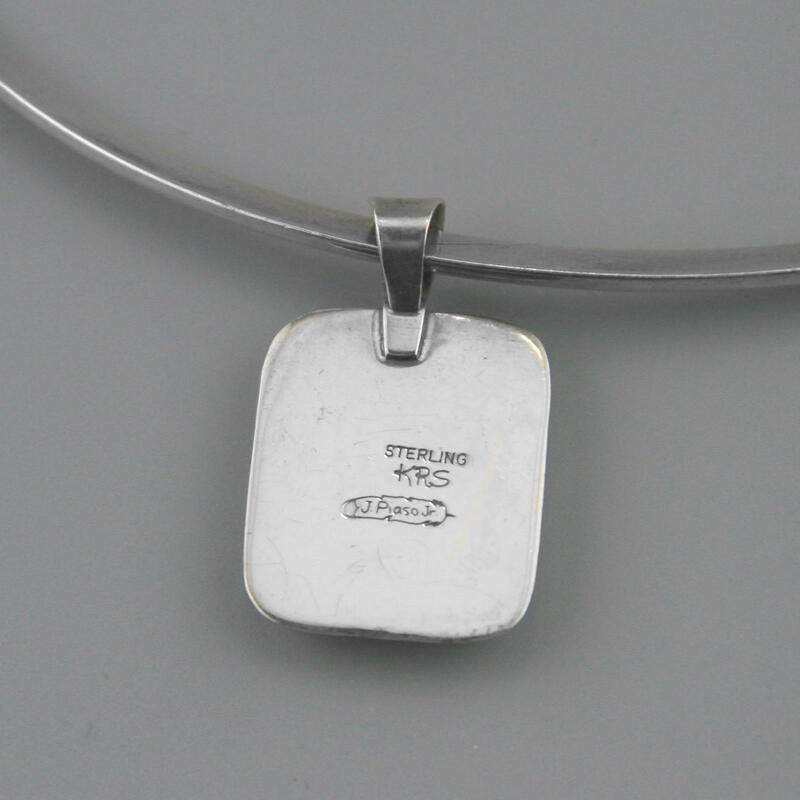 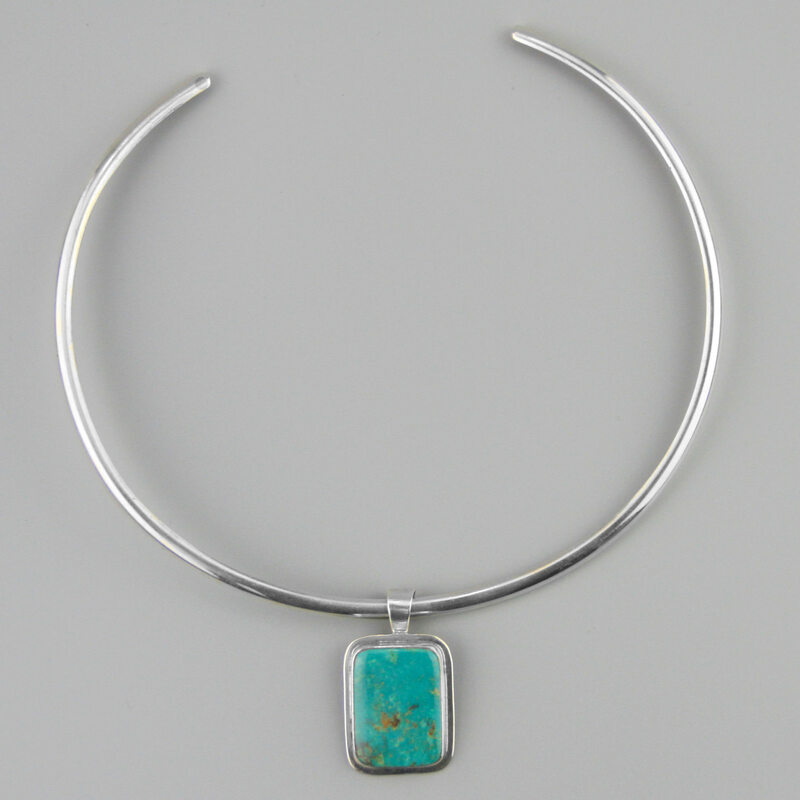 Spectacular handmade Native American sterling silver necklace. 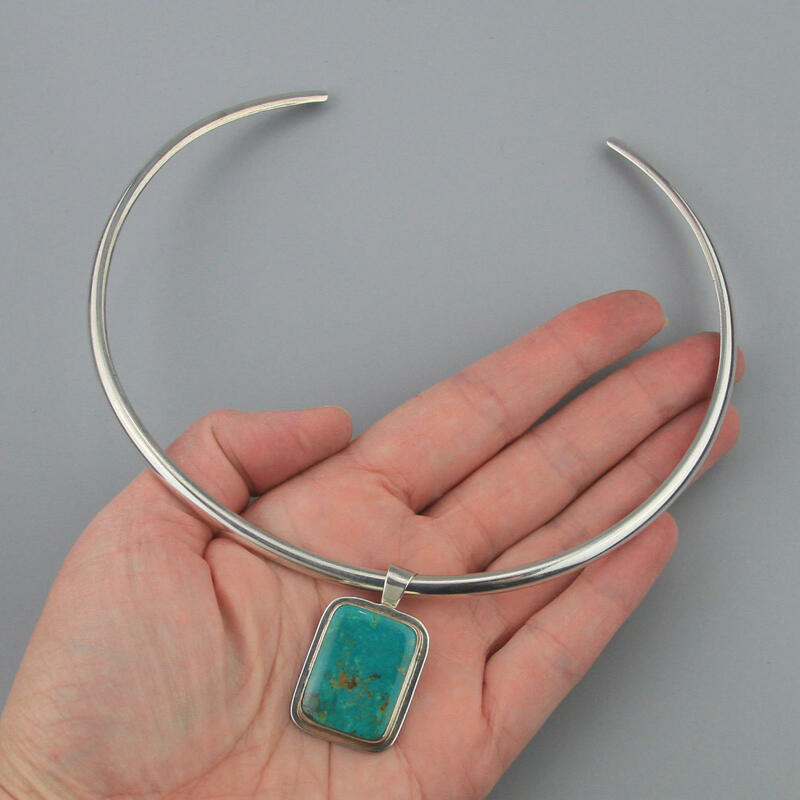 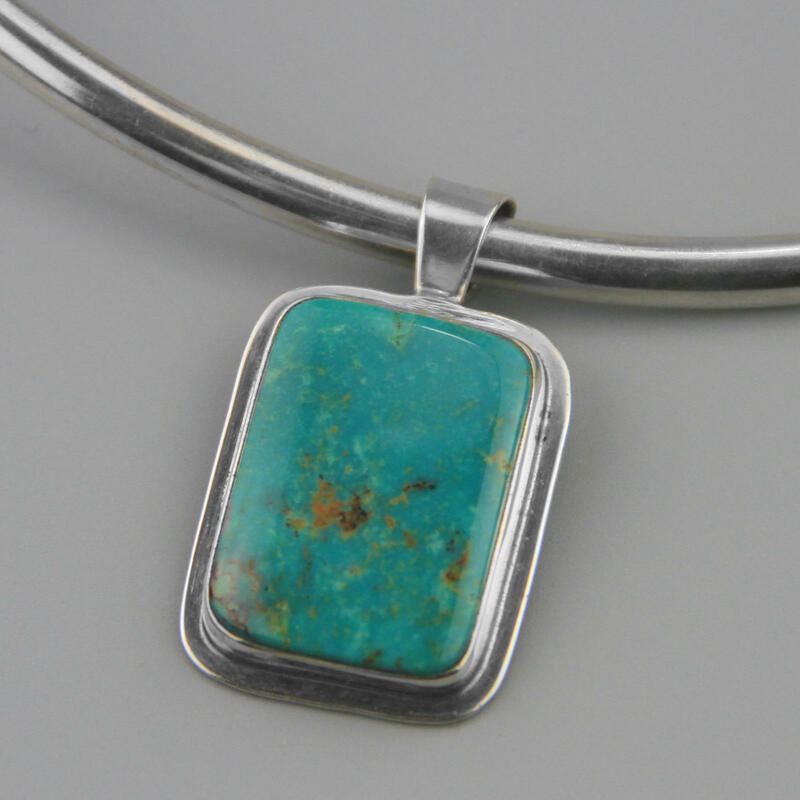 Beautifully made sterling collar necklace with a smooth bezel set rectangle of turquoise, a very deep, rich blue with a. chocolate matrix, natural quality stone with a smooth polish. 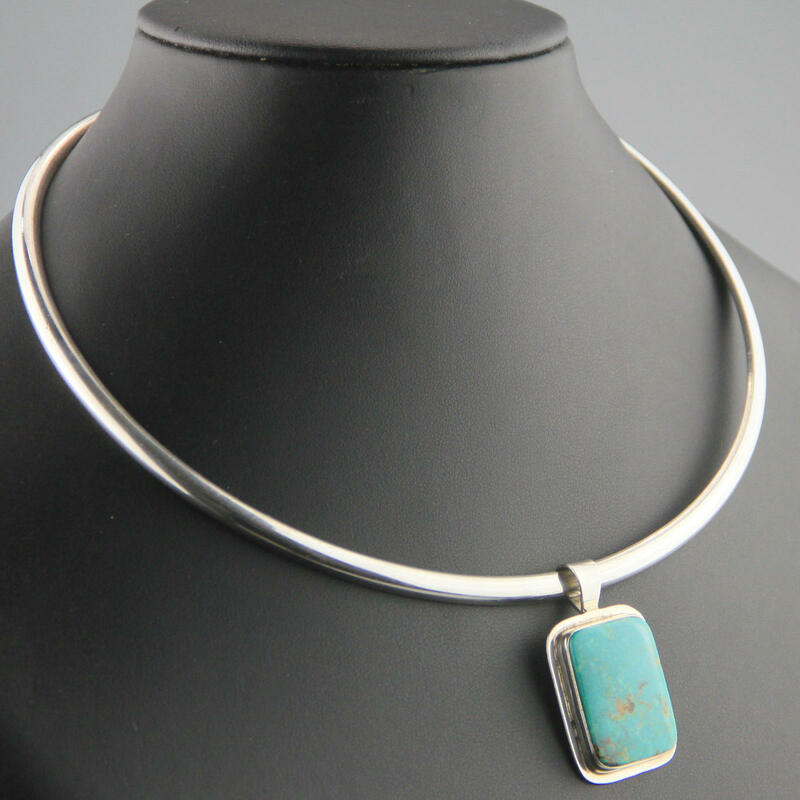 Made by Navajo silver smith J Piaso Jnr, this is a nice gauge of silver and a quality stone, beautifully made, would make a nice gift.